Real Madrid will host Ajax in an all-important Champions League fixture. The odds are in Los Blancos' favour as they are 2-1 ahead on aggregate with two away goals. 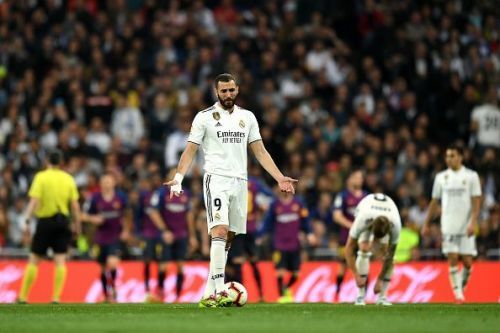 But football's essence lies in its unpredictability and there is no place for complacency for Los Blancos, more so considering their recent form. Real Madrid is 3rd on the LaLiga table and 12 points behind league leaders Barcelona. They were also knocked out by the Blaugrana from the Copa del Rey, after a 4-1 aggregate defeat in the semi-finals. It is crystal clear that their domestic campaign is almost over unless Barcelona slips miraculously in the Spanish top flight. This situation is more or less the same like last season, leaving Real Madrid to win the Champions League to salvage their dismal season. But Ajax will surely prove to be a worthy challenge, as they showed in the first leg of the round of 16 tie in the Champions League. In their 1-2 defeat against Madrid, Ajax attempted more shots - hitting the post a couple of times - and had more possession, dominating most of the match, yet their efficiency in front of goal let them down. Meanwhile, Ajax is second on their league table, five points behind PSV, with a game less. But they are in good form after a win against Feyenoord in the KNVB Cup and will look to give it their all to knock the champions out. Let us quickly evaluate three reasons why Ajax can knock Real Madrid out of the Champions League. It goes without saying that Los Blancos are going through a miserable run of form. They are without a win in their last three games which includes two defeats against their arch-rivals Barcelona and one against Girona. Despite playing relatively well against Barcelona, they were not clinical in front of goal and got punished twice. Most of their senior players like Toni Kroos, Karim Benzema, Gareth Bale, Marcelo, and Luka Modric are not playing their usual best, which can only do more harm than good in the Champions League. Moreover, Real Madrid's home record is awful, as they have suffered their 6th defeat this campaign - a record in the 21st century. There will be tension in the Santiago Bernabeu, giving Ajax the chance to defeat the champions and progress into the quarterfinals.